Bhutan is a delightful travel destination, but it’s also shrouded in a lot of mystery. Many would-be visitors know that there are beautiful monasteries and some high mountains, but struggle to know what else there is to see and do in Bhutan. Here’s a list of our favourites. It's an unmissable icon in Bhutan - clinging like a swallow's nest to the edge of a cliff high above the Paro Valley, it makes many foreign visitors wonder how such a monastery could ever be built. It is only accessible by narrow mountain paths, and is surrounded by dense forested mountains and dramatic rocky drops. It’s one of the most popular places in Bhutan for pilgrims and awe-struck tourists alike, and is an absolute must-visit destination in Bhutan, whether you have two days or two weeks in the country. A dzong is a fortified monastery building, found throughout Bhutan and Tibet. One of the most beautiful and important in Bhutan is the Punakha Dzong, where the kings of Bhutan have traditionally been crowned. It’s the administrative centre of Punakha District. Constructed in the mid-17th century, it’s the second-oldest dzong in Bhutan (the oldest is Simtokha Dzong, which is only a few years older than Punakha Dzong). The Chimi Lhakhang Monastery in Punakha District is commonly known as the Fertility Temple because it’s believed to be a powerful place for people wanting to have a child. The monastery buildings and the surrounding village are adorned with ornately decorative phalli, which many visitors find amusing, although they have important and serious meaning to the devout local people. Check out our pilgrimage tours of Bhutan, during which you can visit the Chimi Lhakhang Monastery. 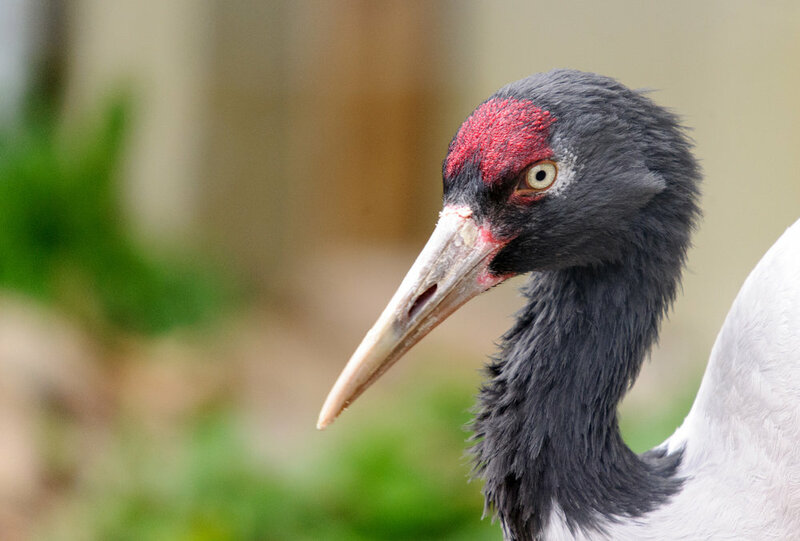 Black-necked cranes are one of the rarest varieties of crane in the world. Up to 500 of them come to the Phobjikha Valley in Bhutan for the winter, between late October and February, after spending the summer on the Tibetan Plateau, where they breed. The Government of Bhutan has made special efforts to protect the birds by establishing the Phobjikha Conservation Area. Wildlife and bird lovers will especially enjoy seeing the cranes in Phobjikha. Plus, the Black-Necked Crane Festival is held in autumn, making this one of the best times to visit Bhutan. Between Haa and Thimphu is the picturesque Haa Valley. From Paro, cross the Cheli La Pass (3,810 metres) to reach the valley. It’s one of the least-visited areas in the country and retains the air of an unspoiled, primeval forest. Haa is home to a number of nomadic herders. Visit the 7th-century Black & White Temples, and go on a day hike or mountain bike ride. Bhutan has almost 200 festivals each year. These range from small local events in a village to great celebrations in the major monasteries of Paro and Thimpu. Attending a festival in Bhutan is an experience like no other. You’ll have the opportunity to mingle with friendly local people and immerse yourself in the sights and sounds of ancient Bhutanese culture. The Bumthang Valley is in Central Bhutan, and is one of the most beautiful and sacred valleys in the country. Explore the little-visited region with its many hidden delights, including a 16th-century palace (the Ugyen Choling Palace). Sample a Red Panda Beer at the local micro-brewery, nibble some Swiss cheese and enjoy a fondue dinner at the guesthouse run by a Swiss-Bhutanese family. The Bhutanese people were a beautiful range of traditional textiles in their daily lives. To learn more about them, to see them being made, and to purchase some for yourself, visit the National Textile Museum in Thimphu. Royal garments are on display, as well as examples of textiles from different parts of the country. The Bhutanese capital, Thimphu, is a quirky little town, and one of the most interesting things to do there is to have personalised postage stamps made with your photo on them! These are legal tender, so you can send postcards home with them. You can also provide them with a picture ahead of time, so you’re stamps are ready to collect when you drop into the post office to pick them up. 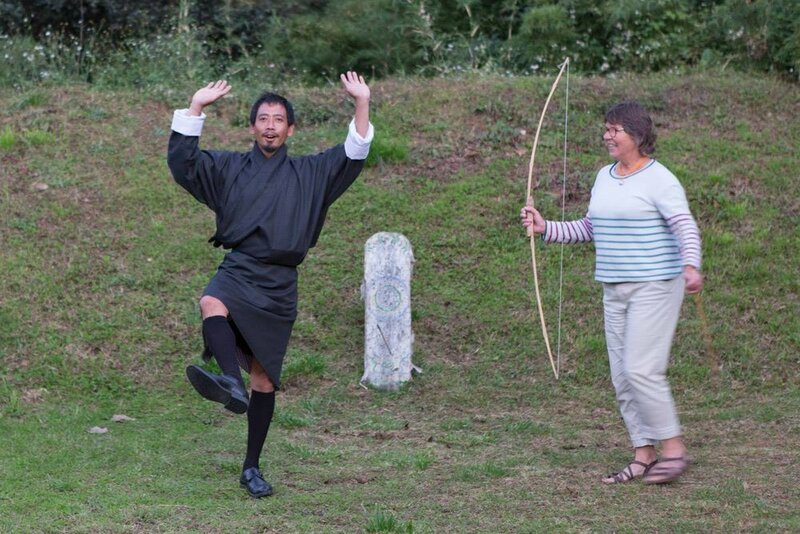 Archery is Bhutan’s national sport. The bows are made from bamboo, and the target sits 145 metres from the archer—which is much further than the kind of archery you may be used to seeing in the Olympics. It’s done in traditional dress, which adds to the beauty of the display. Guides in Bhutan will often arrange a casual match for their guests while touring Bhutan. 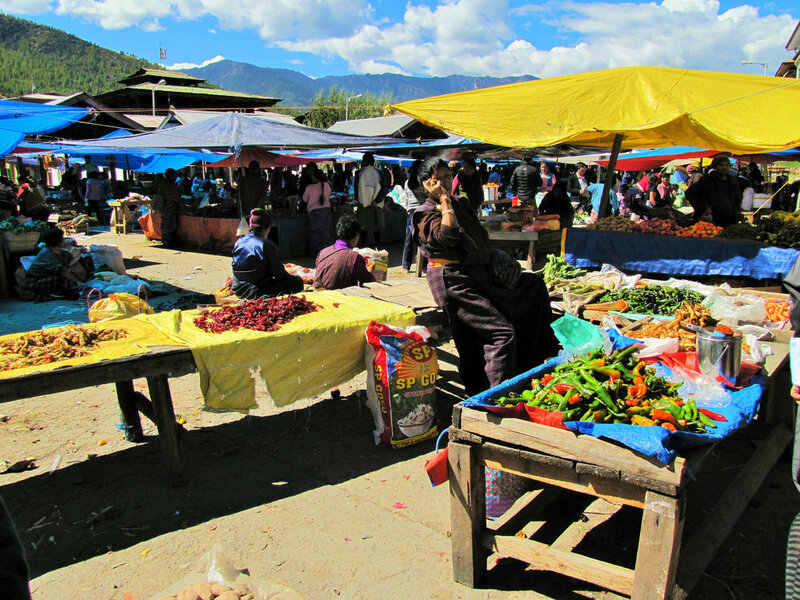 If you happen to be in Paro during the weekend, check out the Paro Weekend Market. It’s not large, but it sells a range of Bhutanese food items, most of which you couldn’t find at home, like dried yak’s cheese. 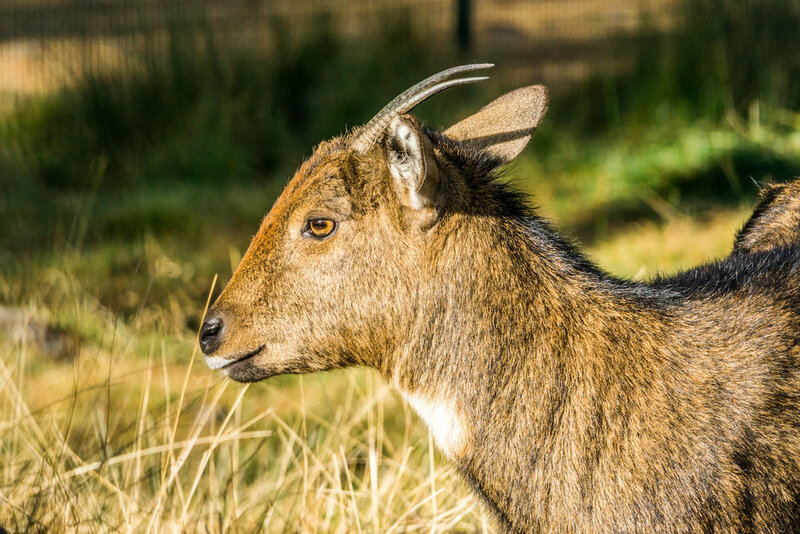 Takins are an interesting-looking animal, also called a cattle chamois or gnu goat, and look somewhat like a cross between a moose, a goat, and a deer. They’re the national animal of Bhutan, although they can also be found in parts of India and China. Visitors can check them out at the Motithang Takin Preserve, a forested habitat on the edge of Thimphu. 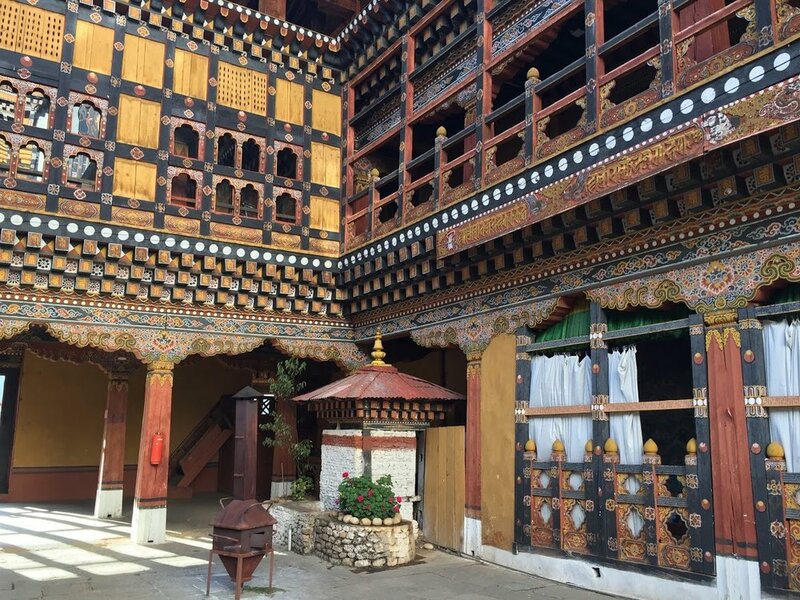 The Simply Bhutan Museum in Thimphu is an immersive museum where visitors can see handicrafts being made, dress in traditional costume, see cultural performances, and more. One of the goals of the museum is to provide young Bhutanese people with job opportunities, so visiting the museum is supporting a worthy cause. The Rinpung Dzong in Paro (usually just called the Paro Dzong) is a monastery and fortress. Most of the chapels themselves are closed to tourists, but you can still visit the outside areas, and the architecture is especially stunning. Many fabulous festivals are held here throughout the year—it’s worth travelling here during a festival so you can experience these fabulous affairs. To the north of the capital, the 13th century Tashichho Dzong houses government offices, including the king’s throne room. This means that visitors can’t see much of the insides, but it’s still a must-visit attraction in the city. The architecture is beautiful, the surrounding gardens are large and well-kept, and the location on the banks of the Wang Chhu River is serene. The 50-metre high golden seated Buddha statue on the outskirts of Thimphu is an impressive enough attraction if you take it at face value. But, inside are 125,000 miniature Buddha statues! Unlike many of the sights you’ll see throughout Bhutan, the Buddha Dordenma Statue is not very old—it was built in 2015 in honour of the 60th birthday of King Jigme Singye Wangchuck—at an expense of almost $100 million!